Hazard Ready websites help you find out about your natural hazard risks and steps you can take to prepare. Explore the potential for wildfire, flooding, winter and summer storms, earthquakes and landslides in Missoula County. 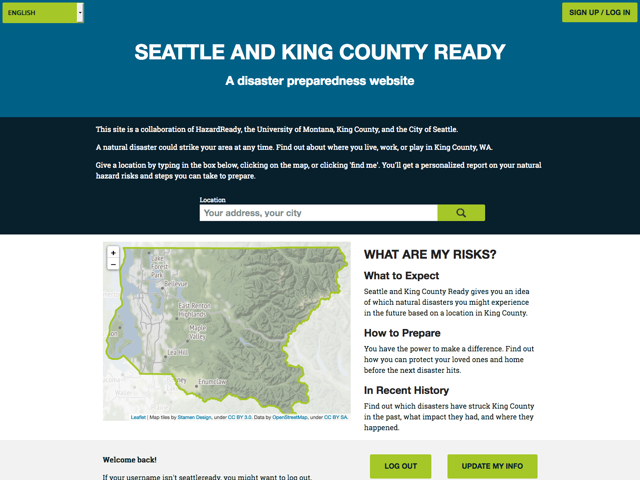 Find out about earthquakes, floods, landslides, volcano eruptions, summer and winter storms, and wildfires in King County. This site is available in English, Spanish, Simplified Chinese, Somali, Vietnamese, and Russian. Hazard Ready sites are designed to help educate and prepare people for disasters that occur in their area. Disasters don't strike locations equally so we found it important to give location specific information in order to properly prepare. Each site organizes current information and packages it in a way that makes it accessible for any area resident. Hazard Ready sites use the most up-to-date hazard risk data available for their locale. The user of this site is responsible for verifying any particular information with the original data sources. Although these data represent the best current assessment of hazards, they are not predictive of future events. The descriptions of risk and how to prepare for those risks are based on best information from the American Red Cross and the Federal Emergency Management Agency. Hazard Ready sites are based on Aftershock, an earthquake preparedness application for Oregon residents. 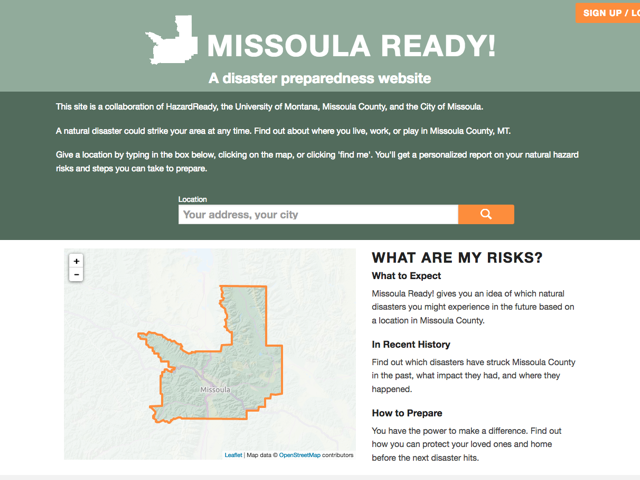 Carson MacPherson-Krutsky and Dr. Rebecca Bendick, a graduate student and her advisor at the Unversity of Montana, had the idea to expand it for other locales and types of disasters. Melinda Minch and Eldan Goldenberg adapted it for that purpose. Source for a general-purpose version of these sites is available on Github.